Remember netbooks? Those portable, tiny, modestly powered and inexpensive machines that preceded tablets? If not, here’s a little trip down memory lane. 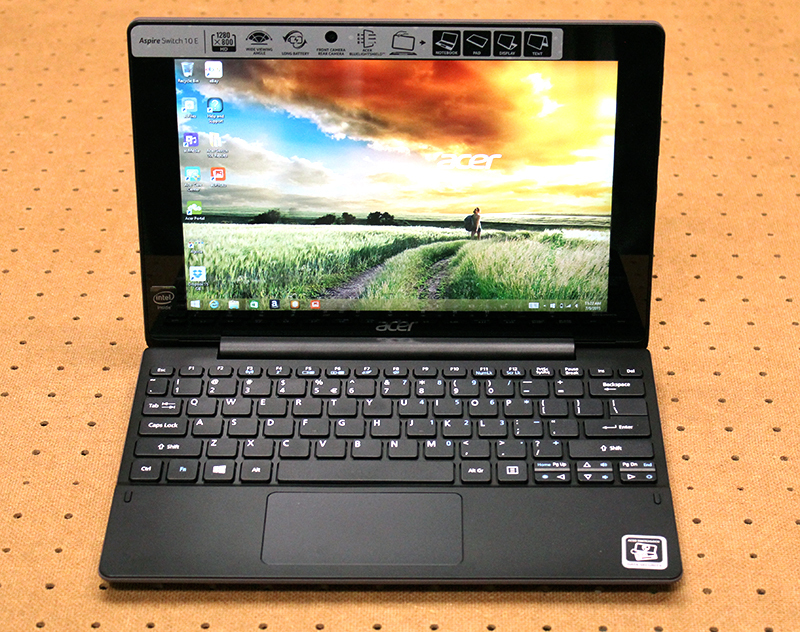 Netbooks were introduced in 2007 and was made popular by the ASUS Eee PC. It sold over 300,000 units in four short months, and soon every other major PC manufacturer was making netbooks. Costing around S$500, they were extremely popular for a while. But they soon fell out of favor once the iPad and other tablets came along. Since netbooks were designed primarily for light computing tasks like word processing, web browsing and watch videos; users soon found that tablets could do the same and often offered a better, smoother and more responsive experience. Now, however, it seems like they are making a bit of a comeback. And for that we have to thank falling flash memory prices. The biggest problem with traditional netbooks was that there were much bulkier compared to tablets and they were woefully slow. And the reason they were so slow was that most of them relied on mechanical hard disk drives for storage. Flash memory was pricey back then, and to provide them on a netbook would drive prices up considerably. Fortunately, flash memory is considerably more affordable and using such memory for storage in small, portable notebooks have improved performance and user experience tremendously. Falling flash memory prices aside, another reason for their reemergence can be attributed to Windows 8.1 with Bing. Windows 8.1 with Bing is essentially a royalty-free version of Windows 8.1 and is offered for free to any manufacturer that is building low-cost systems. Without the need to pay royalties, manufacturers can keep the price of these devices even lower. These reasons have led to a resurgence in small, low-powered notebooks. And today we are going to take a look at three of such machines. But that’s not all, these three are not just regular notebooks, they are in fact 2-in-1 detachable devices with detachable displays that can fulfill the dual roles of tablet and notebooks. 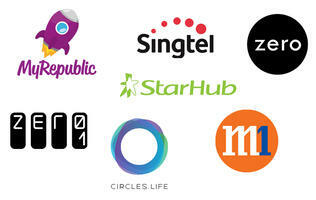 And best of all, they all come in at under S$600. Can there really be a cheap and cheerful 2-in-1 detachable notebook? We find out. 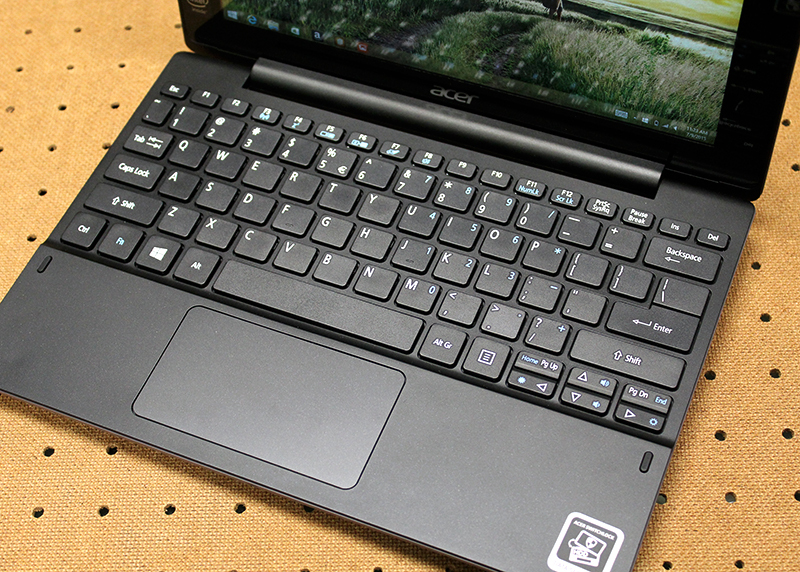 When it comes to bang for buck, one of the names that get thrown around often is Acer. Although the brand has remained relatively quiet lately, it remains to be one of the top five PC manufacturers in the world. Figures from Gartner indicates that it is the number four PC maker in the world, accounting for 7.9% of all PC shipments in 2014 - behind Lenovo, HP and Dell, but ahead of Taiwanese compatriots ASUS. 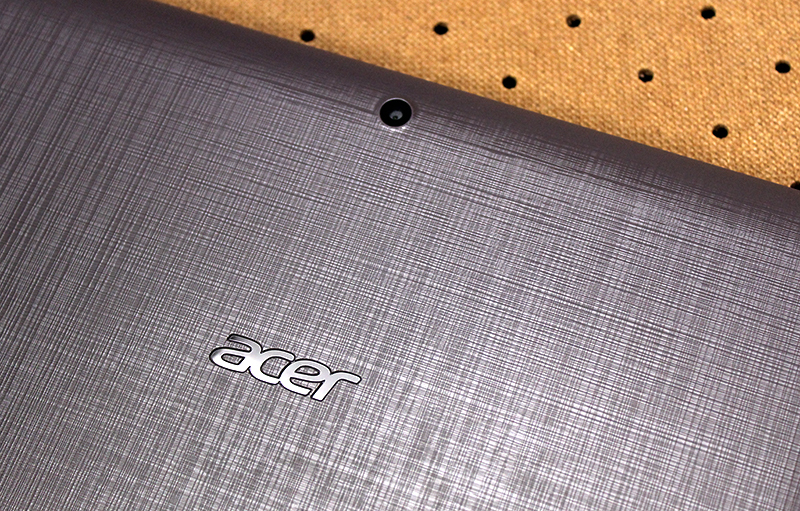 As its name suggests, the Acer Switch 10E has a 10.1-inch IPS display. The display supports HD resolution, in other words a resolution of 1,280 x 800 pixels and a pixel density count of about 150 pixels per inch. 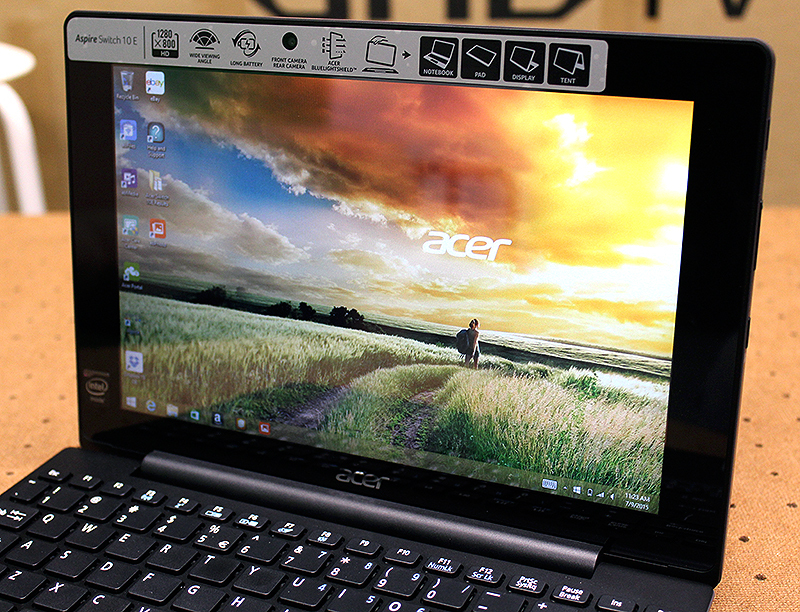 The display is touch-enabled and supports up to 10-points of multitouch. 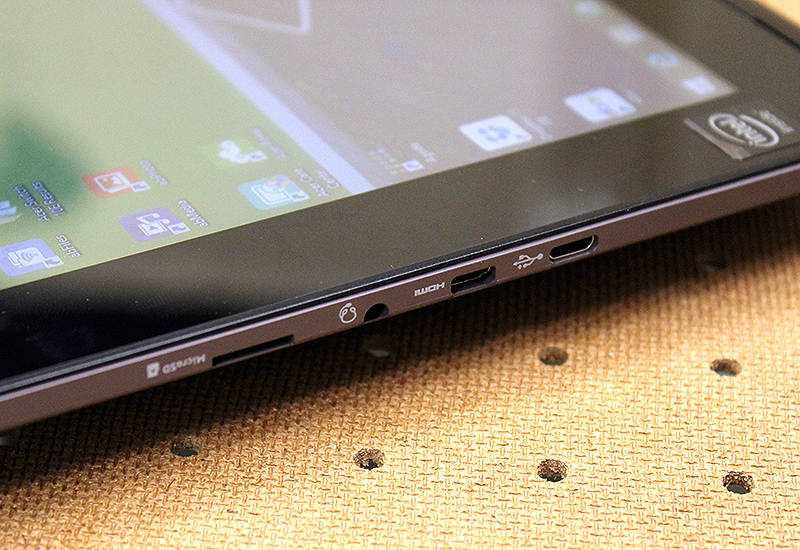 In our experience, the Switch 10E’s touchscreen is suitably responsive to use. 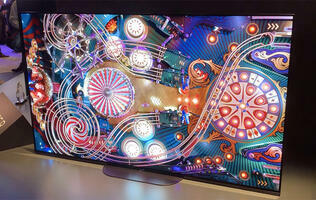 And because it is an IPS panel, viewing angles are good and images look sharp despite the somewhat low resolution. However, the Switch 10E’s display lacks contrast and is glossy and highly reflective, which makes viewing a pain in brightly lit environments. The Switch 10E has an all-plastic chassis and is also rather thick, coming in at around 25.7mm thick with the keyboard dock attached. The tablet display alone is around 8mm thick. It’s not particularly light either. With the keyboard dock attached, it weighs 1.28kg - the tablet display alone is 630g. As a result, it looks rather porky, but at least it comes in an interesting color and the chassis has unique textures running across it so it doesn’t look too bland. 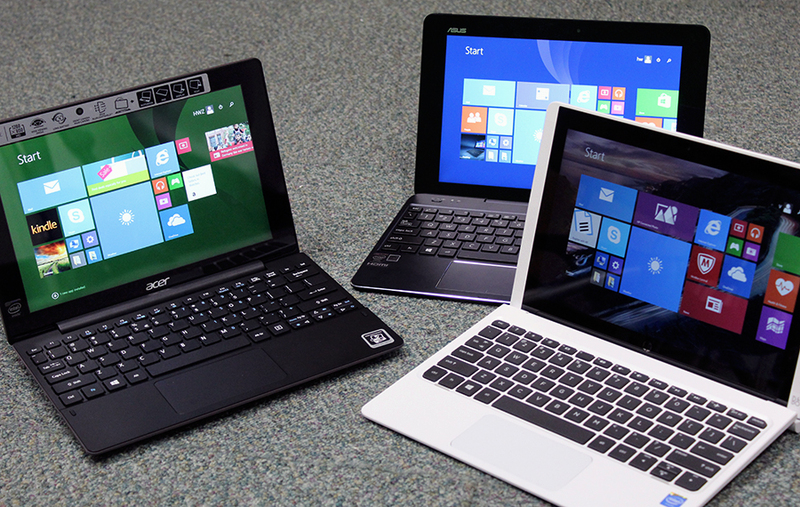 Nevertheless, we don’t think the Switch 10E looks particularly attractive when compared to the other two 2-in-1 detachable devices compared here. Inside, the Switch 10E is powered by a quad-core Baytrail Intel Atom Z3735F (1.33GHz, 2MB L2 cache) processor. It also features the Intel HD Graphics integrated GPU, a very basic integrated GPU solution with just 4 executions units. All in all, the Atom Z3735F is a fairly entry-level processor in Intel’s Baytrail family of Atom processors. Graphics processing duties are handled by integrated Intel HD Graphics GPU. This is a stripped down version of the integrated GPUs found on Intel’s Ivy Bridge processors. It has just four execution units and a maximum boost clock speed of 813MHz. A more modern Intel integrated GPU such as the Intel HD Graphics 6000 for instance has 48 execution units and a maximum boost clock speed of 1GHz. 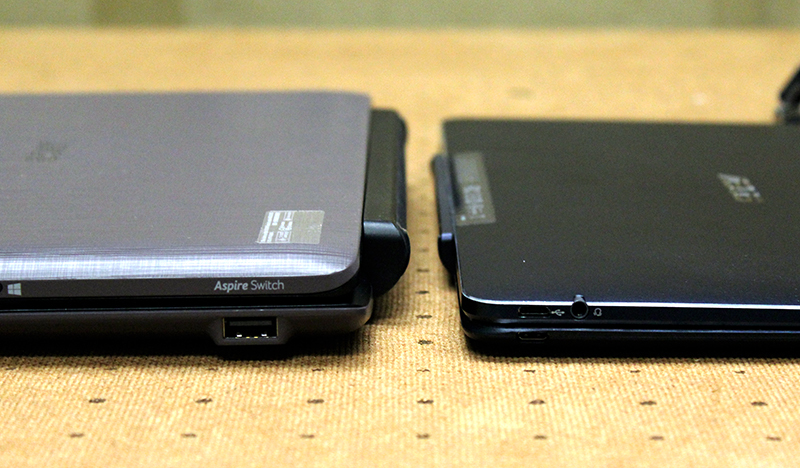 Complementing the Intel Atom Z3735F processor in the Switch 10E is also 2GB of RAM. To keep prices down, the Switch 10E has 32GB of eMMC flash storage. eMMC flash storage no match for a proper SSD, but it is still miles faster than a traditional hard disk drive. 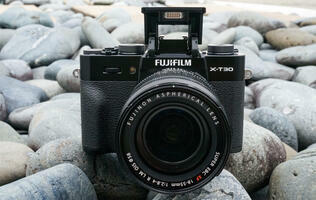 It is also compact, allowing it to work well in devices such as tablets and ultra-thin notebooks and detachables. Now this is where the thickness of the Switch 10E pays off, because within the keyboard dock is actually a 500GB mechanical hard disk drive. 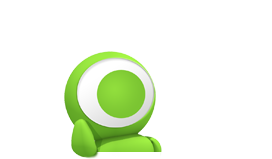 500GB is plenty and will allow users to store plenty of photos, music and videos for entertainment. 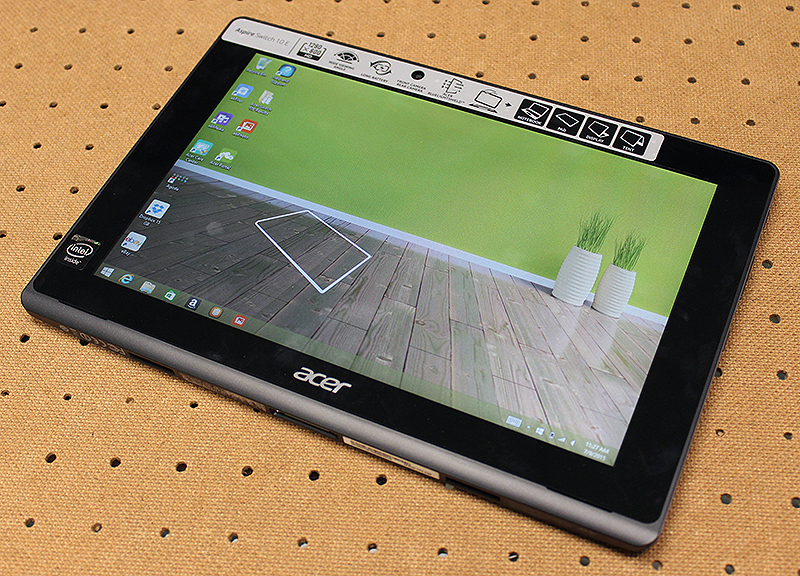 The Switch 10E also has a security feature called Acer SwitchLock, which automatically locks the hard disk in the dock whenever the tablet is removed, thus preventing unauthorized access. Data on the drive is locked even if the drive has been physically removed. 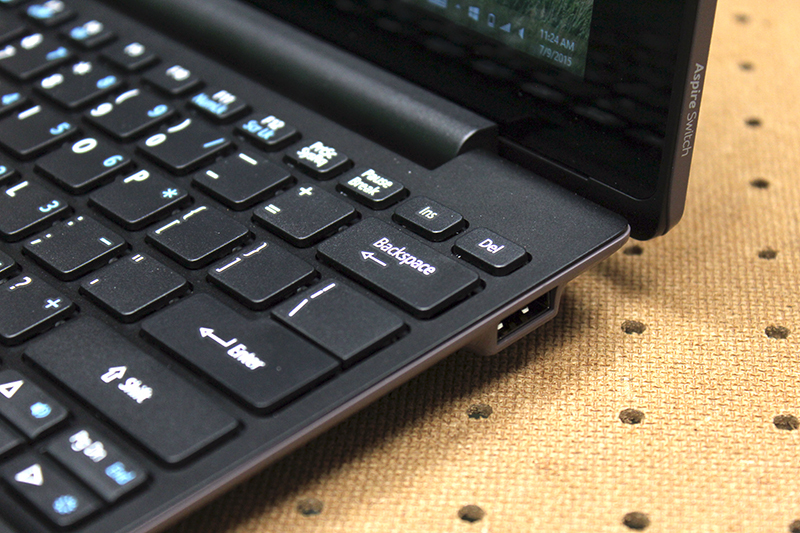 As for ports and connectivity, the thick keyboard dock means that Acer has been able to fit a full-sized USB port into it, albeit one that uses the older USB 2.0 standard. The tablet display itself has a mini-HDMI port for video output and a micro-USB port that also doubles up as its charging port. There's also a microSD card reader for expanding storage on the tablet display, since 32GB is not sufficient if you want to install lots of Windows apps on it. As for wireless connectivity, the Switch 10E uses a Realtek RTL8723BS wireless adapter which supports Bluetooth 4.0, but only Wireless 802.11n standard and up to 150Mbps throughput. In terms of general usability, the Switch 10E has points deducted for its relative heftiness and bulk. It’s curved and round chassis means it's quite bulky and doesn’t feel quite handy to carry, whether you are using it as a notebook or as a tablet. However, that said, the thick keyboard dock also means that the keys themselves have quite a fair amount of travel and feel quite tactile. And though the keys are smaller than what you’d find on a typical notebook, they are still very usable. The trackpad is also well sized and responsive to use. The speakers are concealed but are located towards the bottom left and right corners of the display. Unsurprisingly, the speakers are unimpressive, lacking body and clarity; and are also a bit soft.